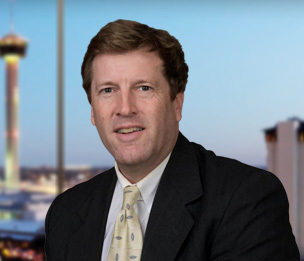 Robert Nelson serves as the co-leader of Dykema's Tax Group and advises clients on business tax planning, partnership tax planning, estate planning, international tax planning, and federal and state tax controversy. Robert’s CPA designation and years of experience handling a wide variety of complex tax matters, enable him to provide his clients with unique insight into the complex interplay between accounting and tax rules. His clients include privately held family businesses, Mexican-owned U.S. businesses, large corporations, and individuals. Robert is board certified in both Tax Law and Estate Planning and Probate Law by the Texas Board of Legal Specialization. Reorganized various privately held family businesses for estate planning, tax planning, and business planning reasons. Represented large corporation and groups of individuals before the State of Texas Comptroller’s Office for sales tax, and the Internal Revenue Service for income tax audit matters. Represented Mexican-owned U.S. businesses with appropriate business structure, tax structure, and international structure, as well as day-to-day legal support, to minimize U.S. tax exposure. Represented U.S. and Mexican clients with real estate development projects in the United States through tax-advantaged U.S. business entities. Represented a publicly traded international company during a Texas sales and use tax audit. The primary transactions in dispute were the international sale and transport of goods manufactured by the client. Texas land acquisition and development project that included all aspects of land acquisition, as well as review and resolution of water rights, title claims and lawsuits, collateral lawsuits affecting property, environmental issues, financing components, and complicated title and local development issues. Project also included entity formation and acquisition work and tax advice.